This four hour course includes the Workbook (exam) for the AARST/NRPP Advanced Multi-Family Measurement Listing. 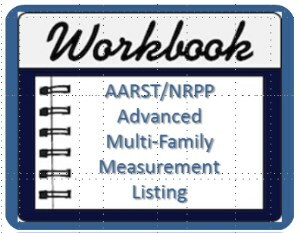 This four hour course includes the Workbook (exam) for the AARST/NRPP Advanced Multi-Family Measurement Listing. A prerequisite to this course is either C-12-103 - Advanced Radon Measurements OR C-16-106 - Conducting Radon Surveys in Schools and Large Buildings. After completion of either of those courses and this Workbook Course you are eligible to apply for the Advanced Multi-Family Measurement Listing with NRPP. Tim said: The practical exercises were relevant to the course objective. Evenor said: The projects given during the course really help in understanding the use of the material given during the course. Worth trying to solve them. Jarrett said: As I stated yesterday, this is the ONLY course I want to take. I took a different approach on these, I elected not to look at any notes and just go off of the top of my head memory wise. It worked it great in quiz 2, not so well in quiz 1 and 3, but that's the type of learner I am. When I do something wrong and go back and realize what I did incorrectly I seem to not make that same mistake going forward to often. The diagrams showed me where I made my mistakes and I have a much better understanding for things going forward. It's nice to always be able to look back on these charts, videos and quizzes and I made sure to document every step of 601 and 602 while printing them off for future endeavers. Thanks professer! Stephen said: Taking this course was a good choice, because I will become very proficient by reviewing the material and procedures. I look forward to learning more about Multifamily and large building radon testing. K. said: The date should be changed to September 21, 2017. Earl said: Very thorough and informative. The exlanations for test questions was very helpful. Earl said: Earl J. Cull- Very great course. Extremely helpful with explanations following tests. Derl said: The course was very informative and makes us students aware of the importance of all the calculations needed to develop an accurate testing plan. William said: The practical examples provided a challenge and a worthy exercise to complement the previous course. The Project 3, worksheet page 2, building #4 diagram has a weak line between a section of units that was initially difficult to discern. Dave said: Doug, Your test questions are great. I must really consider the minute details when answering the questions. Thanks.